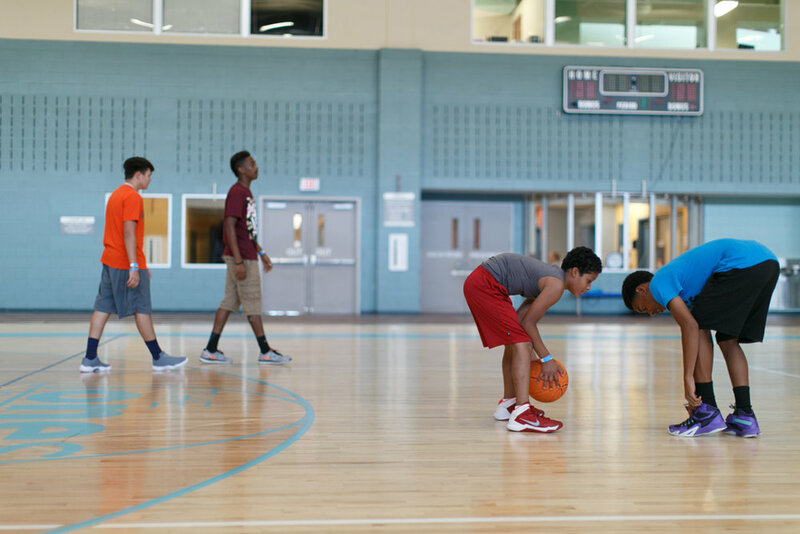 The Jones Center gymnasium is a multi-use complex including a full size basketball/volleyball court, aerobics/dance and gymnastics studio, four-lane walking/jogging track and locker rooms with showers. The gym court may be available for use by individuals, clubs, schools and organizations on an exclusive basis. Scheduling exclusive use of the gymnasium will be on an availability basis only during normal business hours of the Jones Center. The fitness/dance studio may be available for use by individuals, clubs, schools and organizations on an exclusive basis during normal business hours of the Jones Center.